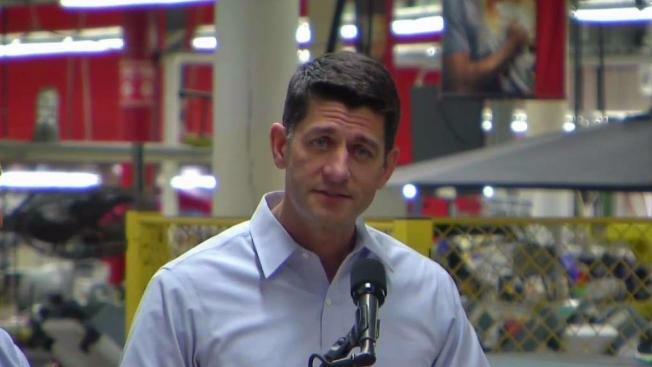 U.S. House Speaker Paul Ryan was in Massachusetts Thursday to visit the New Balance factory in Lawrence and promote the Trump administration's tax reform plan. Inside New Balance's manufacturing facility in Lawrence, Massachusetts, U.S. House Speaker Paul Ryan touted President Donald Trump's historic tax reform plan. "This is a once-in-a-generation moment, it is time to cut taxes and simplify the code, it is time to create jobs and grow our economy, it is time to restore our nation to our full potential," Ryan said. But outside, protesters accused Ryan and the White House of trying to gut health care in exchange for tax breaks that they believe won't help people in Lawrence and other similar cities and towns. "I think a tax cut for the wealthy is absolutely not what we need in our economy," said Tom Meyers of Lawrence. Dozens of protesters rallied outside of New Balance's factory in Lawrence, Massachusetts, Thursday during U.S. House Speaker Paul Ryan's visit to talk about tax reform. "I just think that everyone has a right to health care," added Emily Colwell of North Andover. 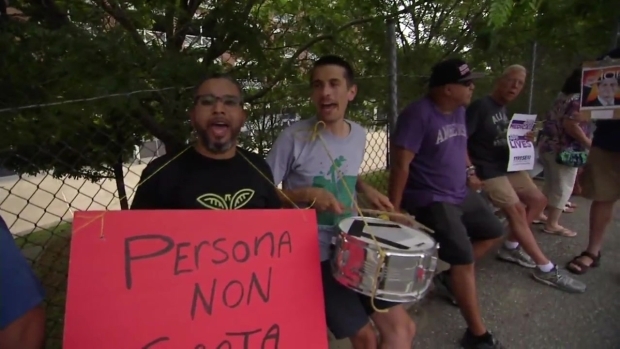 "Of all ages, no matter who you are, you should have a right to basic human health care." Ryan claimed the Republican plan would simplify the tax code and be beneficial to people like the employees at New Balance. "We're going to cut your taxes, you work long and you work hard and the government's, quite frankly, not making the best of it," Ryan said. "I think you could do a whole lot more with your own money, keeping more of it in your pocket, doing what you will with it, investing in your life and your family."